Follow the directions and instructions given by the Parade Marshals at all times. Drinking of alcohol by parade entrants is not permitted anywhere along the parade route. Owners of parade vehicles shall ensure that such vehicles are insured as required by Colorado law. Motor vehicle entries will be limited to 10 vehicles per entry. Additional vehicles will constitute a new entry, assessed a new entry fee and staged separately. Parade applicants shall clearly identify a person or persons in charge of their unit who may be contacted by Marshals or other parade officials regarding parade rules violations. 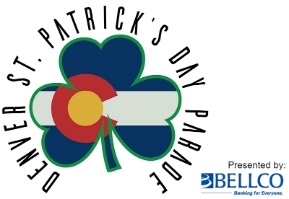 Parade units violating any of these rules may, at the discretion of the Board of Directors (BOD) of the Denver St. Patrick’s Day Parade Committee, Inc. (DSPDPC) be disqualified from awards and denied entry in future parades. All entrants may be subject to City & County of Denver Fire and Safety inspections and code enforcement and additional fees as necessary. Entry & Advertising Release: In consideration of acceptance of this entry, the entrant agrees to permit the DSPDPC to use their names and/or photographs, films or tapes of the units for publicity, advertising and commercial promotion, before, during and after the event, and gives permission to publish or sell or otherwise dispose of said photographs, films or tapes. The use of drones is prohibited in the vicinity of the parade. The parade route is a 'no drone zone'. All participants must enter Coors Field parking lot through their pre-assigned entrances. This information will be emailed to you in early March. Check in as directed. All participants must know their group unit number and staging street address. Only vehicles that are registered as being used in the Parade will be allowed in the staging area. Any and all materials that will be used on your entry will have to be on or in the vehicle that is in the parade when it enters the staging area. Participants shall clean up any materials or debris left in the staging area by your unit(s). This applies particularly (but not exclusively) to units with animals. Parade units may perform only once for no more than 45 seconds in front of the judges/reviewing stand. Marshals’ instructions to resume movement must be promptly followed. Parade units are not allowed to stop and perform anywhere along the parade route. All units must keep pace with the unit ahead of them. Close-up gaps promptly when forced to stop. Children under the age of 5 may ride, but are not allowed to march in the parade. Parade units must continue moving until you have returned to the disband area inside Coors Field parking lot A. No stopping or unloading will be allowed prior to that, since this will cause congestion and delays in the parade. You will not be able to return to the staging areas (Lots B & C); ensure you leave nothing behind. As a safety precaution, no candy or other objects shall be thrown from parade unit. Items may be handed to children and other parade spectators by persons walking along the sides of the parade unit. Drivers of motor vehicles must remain with the vehicle at all times. According to Colorado Department of Transportation guidelines, the following are the maximum dimensions allowed for floats entered into the St. Patricks Day Parade.